Kyle Hendricks has struggled so far, but the time honored phrase 'it's early' may apply. Dan McNamara breaks down an epic battle between Josh Hader and Max Muncy for our At-Bat of the Week! 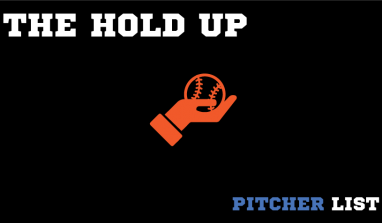 Jonathan Metzelaar, Dave Cherman, and special guest Dan Richards dive deep on some hot hitters including Trey Mancini, Leonys Martin, Yandy Diaz, Josh Bell, Hunter Dozier, and Dansby Swanson. Kyle Frank identifies three struggling players and debates whether you should remain patient or start to panic.